The marriage of popular Nollywood actress Mercy Aigbe has crashed according to LIB. The Edo state born actress has allegedly been suffering from battering in the hands of her husband for some time but things got to it’s limit after a big fight last weekend. LIB reports that the actress is still recieving treatments at an undisclosed hospital. 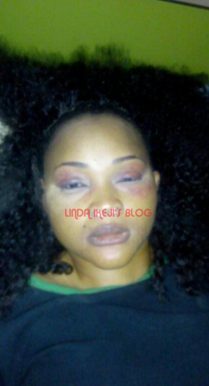 0 Response to " Mercy Aigbe’s Husband Allegedly Beat Her to Bloodshed, Marriage Crashed | See Photos"